Communication and collaboration are now easier than ever thanks to cloud technology. Employees can access and use data wherever there’s an internet connection, allowing them to work from home, on the road, or even abroad. Despite these capabilities, however, it’s still common for communication to break down between teams. For example, the State of Georgia recently realized that, although it was collecting more information on gang-related crimes, communication barriers were preventing it from making prosecutions. This raises the question: How can modern cloud capabilities help improve teamwork in your business? Although the cloud can offer companies much more agility, you may not be ready to move all your business operations into it. Fortunately, benefiting from the cloud doesn’t require an all-or-nothing approach. Instead, adopting a hybrid cloud strategy allows you to integrate the public cloud with your on-premises solutions. Without sacrificing security or simplicity, you can use this strategy to leverage the cloud’s collaborative power while breaking down barriers between teams. Although third-party cloud services may make sharing and working together on your data and documents easier, not everything will translate to the cloud. This is especially true in modern development environments, where it’s still common to build and test applications in-house. However, you must also be able to rapidly deploy and scale these applications across wider environments. Managing this division of tools and data across both on-site systems and the public cloud can quickly become confusing. Hybrid cloud solutions can integrate the development and management environments of your public and private clouds, creating a seamless workflow between the two. Your developers will have the flexibility to use the same sets of tools and services while building and testing applications securely in on-premises datacenters and after deploying them for wider use in the public cloud. This ensures a consistent and efficient development experience, from the first internal builds to external updates and patches later on. 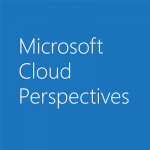 Some hybrid cloud services, including Azure Stack, go even further by offering the ability to help companies meet regulatory and policy requirements—a key feature for global enterprises, as well as those worried about GDPR compliance. On top of fears around data breaches, your organization may have legitimate worries about opening up access to information across departments. For instance, you may not have systems in place capable of both promoting increased collaboration and addressing your complex security needs—like allowing employees with different roles and responsibilities to view and edit only the data they need. What you require are data governance solutions that span both your public cloud and private, on-premises systems. This will let you maintain stringent control over the data and documents each employee/team views, edits, and shares—and those they cannot. For example, a robust hybrid data governance strategy may give different teams access to different sources of data while ensuring they can only share secure information either with each other or externally. Tools like Power BI make such communication and governance easy by connecting on-premises and cloud-based data under a single umbrella. Security breaches and theft aren’t the only ways to lose data. Massive data losses have also come from system failures, power outages, and natural disasters. Keeping backups of data is critically important for maintaining smooth, day-to-day operations. However, as companies look for data-driven insights into every level of their operations, storing everything on-site can quickly become costly. A hybrid cloud backup solution gives you the flexibility to set which data gets backed up. You can then choose what’s stored on-site or in the cloud, creating an intelligent and secure system for protecting your most important information. Backups can be done automatically, reducing the chances of human error, preventing your company’s data from getting lost, and allowing communications to continue uninterrupted. With a service like Microsoft Backup, you can even detect suspicious activity and notify select users, creating a secure environment across both public and private clouds. The State of Georgia solved its communication problems by implementing a hybrid cloud system built on Azure Cloud Services and Storage. This solution gives its law enforcement agencies a standardized and cost-effective way to digitize select data on gang-related crimes, then share that information across jurisdictional boundaries. It has allowed Georgia to address inefficiencies as it collaborates statewide to prosecute gang members and decrease gang activity. It hopes to expand this solution into other states soon. Similarly, through the flexibility of a hybrid cloud solution, organizations of every stripe can begin removing communication obstacles between their teams. Doing so will help them gain more control over data security and data management while ensuring they are taking full advantage of the cloud’s collaborative tools.